Contrary to the popular myth that all doctors are rich, it turns out that a recent study done by LeaseTrader.com found that doctors lead the way among professionals in escaping their expensive car leases due to financial reasons. LeaseTrader analyzed the data on who was getting out of their expensive car leases in 2010 and found that 54% of doctors (69% male doctors, 31% female doctors) who got out of their leases did so for financial reasons (in 2008, it was only 34%). Doctors topped the list, followed closely behind by lawyers at 51%. LeaseTrader should know, as they are in the business of car lease transfers, so it is incumbent upon them to understand the lease transfer market in fine detail. 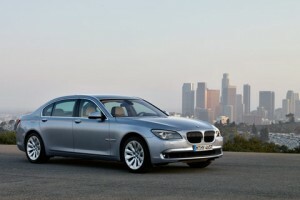 Among the marques listed, doctors are escaping their leases on their Maseratis, S-Class Mercedes’, and 7-series BMWs. An interesting sidenote is that male doctors outnumbered female doctors in getting out of their car leases due to financial reasons (69% male doctors vs. 31% female doctors). One can speculate this could be due to more males buying expensive cars than females or that perhaps female doctors are less affected by the economy than male doctors? Who knows? So, why are doctors getting out of their expensive cars? Well, the economy has obviously affected them (like everyone else), and in particular, the uncertain state of the American healthcare system probably plays a role in the decision to “downsize”. Any other doctors have any additional thoughts on this?